Aston University has unveiled a £35 million cash injection for a major upgrade of the city campus – including a new £19 million revamped business school. The European Investment Bank, the world’s largest supra-national public bank, has agreed long-term finance with the Aston complex to help strengthen amenities for students and the public and cement the university’s place in the UK’s top 20 campuses. The £35 million package will provide vital cash support for a range of new developments and facelift work at Aston, including the new £60 million medical school project confirmed earlier this year. The EIB loan will also contribute to a redeveloped Aston Business School, improvement work to the Aston Institute of Photonic Technologies and the School of Languages and Social Sciences. The Business School is to undergo a £19 million revamp, and will relocate to a new, centralised location on the campus. The new development will bring together the school’s different teaching groups into one location, providing increased collaboration between academics and students. Meanwhile, the Euro package will also help pave the way for the new Aston medical school, which aims to train a new generation of doctors to help cut Birmingham’s poor infant mortality rates. The £35 million loan agreement was hailed by Jonathan Taylor, vice-president of the EIB, during a visit to the campus on the edge of Birmingham city centre. “This is support for a range of developments on the campus, which includes moving the Business School to new premises. This has been approved by our board and it is currently being finalised. “A total of £700 million has been earmarked for loans to individual universities and they then come forward with specific proposals. Aston is the first in this series. “At Aston, the current Business School will move to a refurbished building and that will provide new facilities. The Business School will be used for the new Medical School. “This will be a five-year programme up to 2019. It is very good news for Aston University. The bank has previously provided finance in the West Midlands for a range of customers, from the M6 Toll Road to the Queen Elizabeth Hospital and Severn Trent Water. 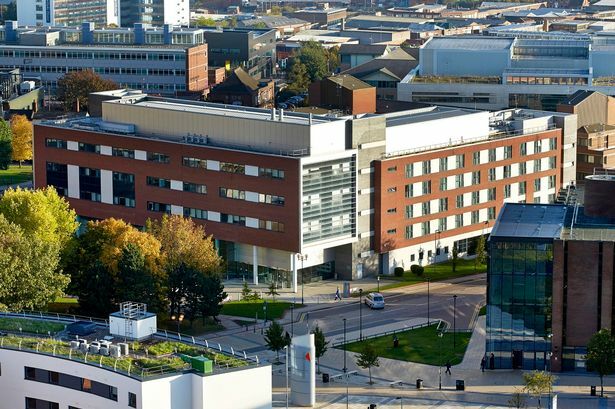 A spokesman for Aston University said: “We welcome the new support from the European Investment Bank that will help to contribute towards Aston University’s role as the UK’s leading university for business, enterprise and the professions. It is hoped the planned developments will enable the university to achieve its ‘2020 Vision’ of cementing a place in the top 20 universities in the UK and increase student numbers from 10,000 to 13,000. EIB is owned by the 28 member states of the EU, with the UK, France, Germany and Italy the four largest shareholders.